Lancaster Early Education Center is a non-profit charitable organization committed to providing affordable, high quality early care and education to children from low-income working families. Since 1915, Lancaster Early Education Center (LEEC) has been providing affordable, high quality, early care and education to children from low-income working families. Our purpose is to create a caring and learning-rich community focusing on the young children who are most likely to be at risk for failure in school and life. LEEC is unique in that we intentionally teach children the social and emotional skills to be successful in life. Emotional literacy is considered an important part of our curriculum. WHAT is Lancaster Early Education Center? Lancaster Early Education Center (LEEC) is a register 501(c)3, non-profit child care and early education center. Our STAR 4 rating, through Pennsylvania’s Keystone Stars Quality Initiative Program, is maintained annually. Our program provides high quality early care and education in a nurturing environment that is based on the importance of secure relationships. LEEC helps strengthen families by allowing them to work or go to school. Program activities include a developmentally appropriate curriculum based on authentic observations and assessment as well as the Pennsylvania early learning standards, the positive guidance approach (based on the Positive Behavior Support Model), and a comprehensive parenting component. In turn, children are given the confidence and skills to successfully enter school ready to learn. Our overall intent is that children enter school ready to learn, are emotionally secure, and families are strengthened and empowered. It is also our intent that families’ succeed economically and emotionally, strengthening our overall community. WHEN was Lancaster Early Education Center established? In 1915, LEEC was established by a matron and a group of community volunteers. Originally Lancaster Day Nursery, the name was changed in 1981 to Lancaster Day Care Center. 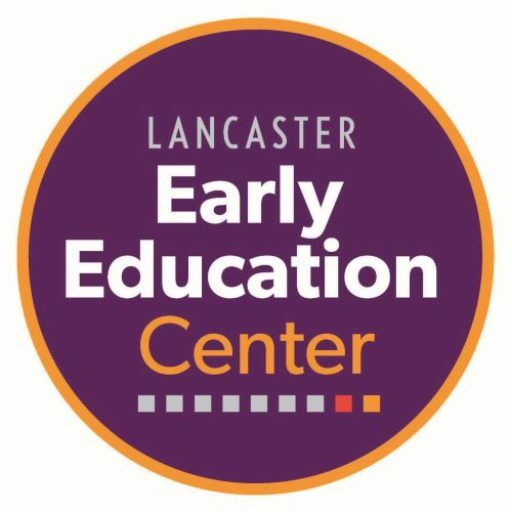 In 2015, to honor the organization’s 100th anniversary and to better reflect its commitment to quality early education, the name was changed once again to its now current, Lancaster Early Education Center. WHO does Lancaster Early Education Center serve? Our target population includes children in low/moderate income working families. Clients must either be working full-time or in a full-time job training program. Child care helps parents work, which helps our economy. Our economy cannot fully recover if families lack the child care they need to stay employed and to build a better future for themselves and their children. Without affordable child care, many of these families have no choice but to leave jobs or school and sign up for public assistance. On a daily basis, we serve over one hundred children by providing full-time early care and education services from 6:30am until 5:30pm, Monday through Friday. HOW does someone qualify for a child care subsidy? To qualify, parents must be employed full time or enrolled in a full time educational or job training program. Their status is checked regularly, and if they lapse on their commitment, they are given a brief grace period to get back on track. Most importantly to share with our supporters is that this is not a “handout”. We strive to better the family by holding the parents accountable for the services they receive. Every client receiving our subsidy pays something. A sliding scale is used to determine tuition fees, which are based on the family’s income and size. The cost of care can then be successfully integrated into parents’ budgets. We help families by providing scholarship money for tuition. They, in turn, become strengthened economically. Sadly, 75% of the families we serve earn an annual income of $25,000 or less. WHERE is Lancaster Early Education Center located? We are located at 150 South Queen Street in downtown Lancaster. LEEC is located adjacent to major bus routes, within walking distance of downtown and is in close proximity of three homeless shelters. Situated in one of Lancaster’s most poverty stricken and under-served neighborhoods, LEEC is able to conveniently serve the families that are most at risk for economic hardships and school failure. WHY should I donate to Lancaster Early Education Center? Because every child deserves an equal start in life. LEEC helps bridge the achievement gap by creating an environment where all children are able to enter school ready to learn. LEEC is a Keystone STAR 4 Center, reflecting the highest quality early care and learning environment. Research has demonstrated that quality early care and educational experiences in the early years, a time of explosive growth in brain development, have a lasting and critical impact on children’s development. High-quality and affordable child care programs, like LEEC, promote early learning and support children’s school readiness, as well as generating economic development for our community.